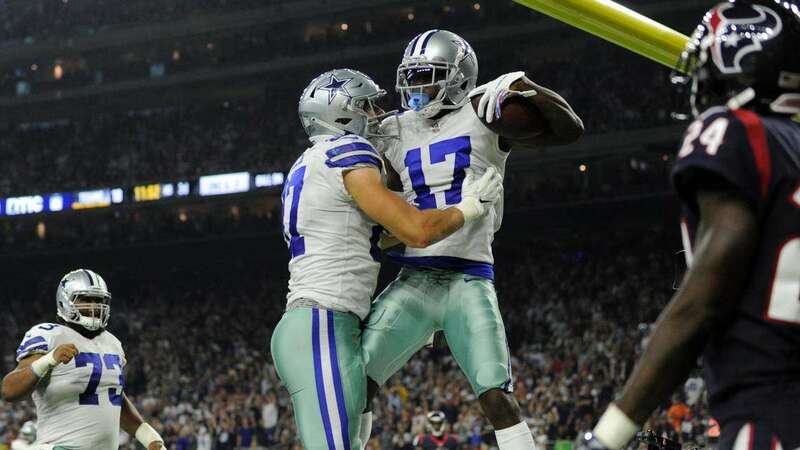 When the Dallas Cowboys initially signed Allen Hurns, many in Cowboys Nation were cautiously optimistic excited or at least intrigued by the idea of Hurns playing opposite former Dallas Cowboys Wide Receiver Dez Bryant. When you looked at the signing, it seemed Hurns would be brought in to compete for snaps with Terrance Williams and whatever rookie they drafted in the 2018 NFL Draft. 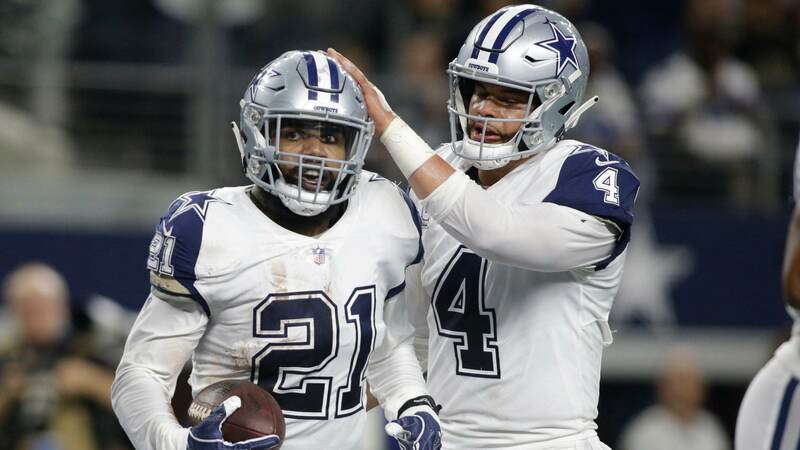 Then the Dallas Cowboys front office made the decision to move on from Bryant, which pushed every one of the outside wide receivers up a notch. Terrance Williams got hurt and wasn't available much in the 2018 season and it left Allen Hurns in an unfamiliar role as the lead wide receiver on the outside. The wide receiver group was a disaster for the first half of the season. Hurns, was by no means the best wide receiver in the NFL, but for what they signed him for (2 years $10 million), he was a pretty nice addition. With the Jacksonville Jaguars, Hurns posted a 1,000 yards season and caught 10 touchdown passes with Blake Bortles as his quarterback in 2015. Injuries and a decline in play for Bortles led to a decline in Hurns production in Jacksonville, leading him to the Dallas Cowboys where an inconsistent passing game -- and misuse of personnel, Hurns in particular -- led to Hurns posting the worst numbers of his career. In 16 games this season, and seven starts, Hurns only posted 20 receptions on 35 targets for 295 yards and two touchdowns. Even for the contract that Hurns signed in the 2018 offseason, that's an atrocious return. So why would I be suggesting that Hurns be the wide receiver to replace Cole Beasley if he were to depart in free agency? Because it's in the slot where Allen Hurns does his best work. In that 2015 season where Hurns went for more than 1,000 yard receiving on just 65 receptions to go along with 10 touchdowns, Hurns caught 29 passes out of the slot and seven of his touchdowns. He can be a really effective player and has good route running ability when he's given more than just come back routes. I went back through some game film to see what's been going wrong with a wide receiver that was really effective with the Jacksonville Jaguars, but is all of a sudden struggling to find his niche in the Dallas Cowboys offense. So I went and watched some All-22 film from one of his best games in 2017 and from several games with the Dallas Cowboys to try to find the problem. Of Allen Hurns' tape, I watched the Carolina Panthers, New York Giants, and the Detroit Lions games from this season and the AFC Championship game and the Indianapolis game in week seven of 2017. Dallas Cowboys Offensive Coordinator Scott Linehan takes a lot of flak for the -- at times -- failures of the Dallas Cowboys offense. When they struggle, he's the worst play caller in the world, but we're not giving him a ton of credit when the offense does well. Some of Allen Hurns struggles and lack of production are partly due to not being a great fit for Scott Linehan's offense. Or rather, Scott Linehan not tailoring his offense to fit the strengths of his players, which is part of the reason Linehan was shown the door. At some point, certain guys just have to fit into the scheme. This is where I think some of the disconnect lies with Allen Hurns. If you watched much of Allen Hurns at Jacksonville, and when I turned on the tape, I noticed that the Jaguars ran Hurns on a lot of routes that allowed him to break quickly at an angle or to run horizontally. Routes like slants, posts, out and in breaking routes, and shallow drags, which allowed him to find room against zone coverage to give Bortles room to throw. With the Dallas Cowboys, Hurns has been asked to run routes that are much more of the slower-developing and downfield type of routes. Go routes, 15 yards in-breaking routes, and a lot of deep comebacks to the sidelines. On occasion, he was asked to run a shallow crossing route like a drag or a slant route, but generally it was comebacks or deep outs. Here's an example of what I'm talking about when I say, "slow developing." Here it's 3rd and 11 and Hurns is lined up in a tight split so that he has some room to work the sideline in his route. He doesn't help himself by running right into the defender before making his cut. I can't tell if Hurns is supposed to run a 15 yard out and Dak just doesn't get the ball to him, or if he's supposed to run a comeback to the sideline and he just rounds his route off too much. Either way, it's not a route that Hurns is all that effective at running, but the Dallas Cowboys had him run it A LOT. That isn't Allen Hurns' strength. Here's an example of what Hurns does really well. Hurns is lined up in the slot here with New England showing cover two before moving into man-to-man across the secondary with the linebackers dropping into zone. You can see Hurns get just behind the linebackers in the middle of their zone and underneath the safety charged with covering him. It's a quick post route from play action and a big chunk play. Hurns shows nice hands and zone awareness to turn back to the ball. Again, Hurns is lined up in the slot and New England again runs man-to-man. On a straight play action, Hurns works his man up the field and then runs a deep out as the outside receiver runs a skinny post clearing the sideline for Hurns to work. It's a quick cut that allows Hurns to separate from his man and make the big play. The design is nice because it clears a lot of room toward the sideline for Bortles to find Hurns for another big play. And then here's an example from this year. Hurns is on the outside to the right of the quarterback. Dallas runs a run-pass option (RPO), with Hurns running a slant route. You can see that it's an RPO because the offensive lineman on the left side of the line are run blocking. Hurns makes a quick move on the slant and Dak Prescott puts the ball right where it needs to be on the play. Hurns is very effective at running slant routes from the slot as you see above and something that the Cowboys asked Cole Beasley to do from the slot as well. From his time with the Jaguars, Hurns had to run a variety of routes including posts from the slot, short to intermediate crossing routes, double moves, option routes, and they're putting him in combo routes out of bunch formations. 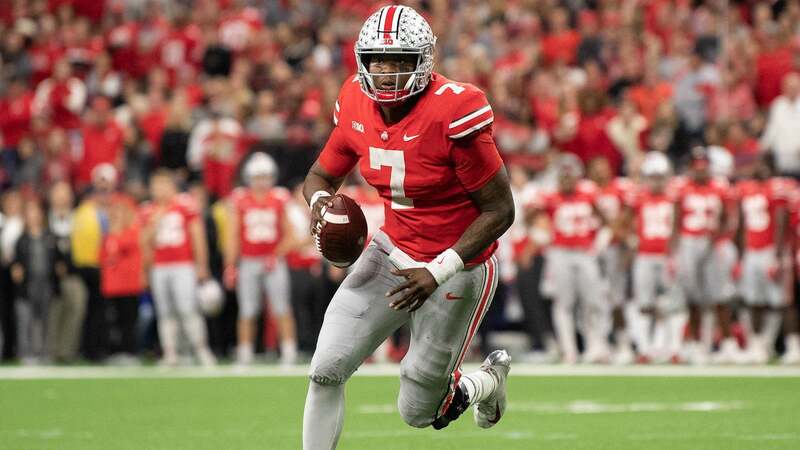 The Dallas Cowboys are asking him to try to use his speed to push the defensive backs downfield and run a lot of comeback routes. From what I can tell on the film, he's not nearly as comfortable running comeback routes as he is running slants, posts, and drags. Dallas needs to get him running routes, like the slant off of the RPO. Like I said before, you can't always accommodate every player in the offense, but there are ways to get him running things he's more comfortable with. Allen Hurns still has a road to recovery from his gruesome broken ankle he suffered in the Dallas Cowboys wild card win over the Seattle Seahawks. If anything can be gained from a four word tweet, it looks like he's about a month away from getting back to the grind of preparing for the NFL's regular season. He'll have some rehab to do, but he should be ready for training camp if everything goes smoothly. 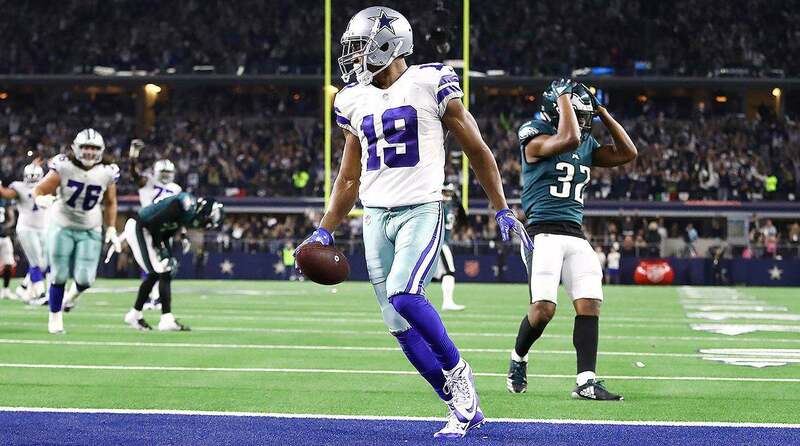 As easily Hurns could be Beasley's replacement in 2019, he could also be out the door if the Dallas Cowboys want to save some money by releasing him. Route running is a subtle art form and from what I could tell, he isn't the same player that he was in Jacksonville. He has a knack for getting open in the middle of the field and shows nice hands. Prior to the Amari Cooper trade, Hurns had his best games of the season against the Washington Redskins before taking a backseat to Amari Cooper and Michael Gallup. With changes to the offensive coaching staff and potential opportunities at WR, Hurns could be the guy the Cowboys look to in 2019 to man the slot. He isn't Cole Beasley, but with Amari Cooper leading the way, you don't need him to be. You need a reliable receiver and in the slot, Hurns is very reliable.